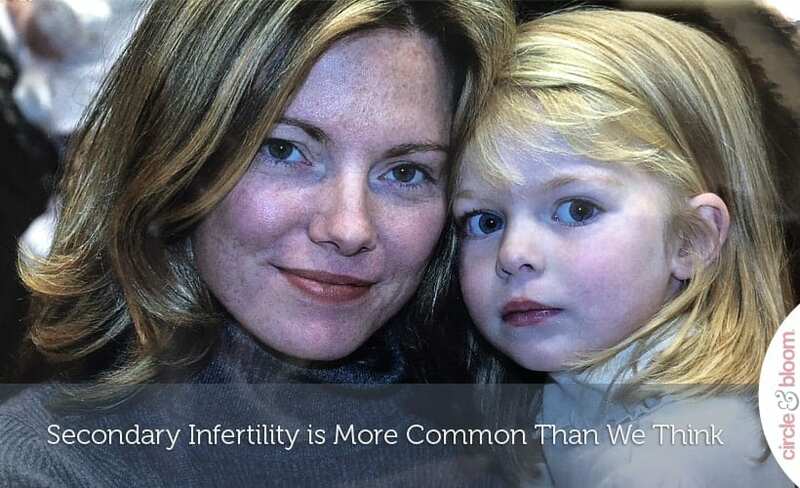 For families who have one or more children but who are – for any multitude of reasons – struggling to have another child, secondary infertility is just as devastating and difficult as any infertility diagnosis is. I know. I’ve been there. For years, my husband and I tried to get pregnant again after the birth of our first daughter. I know the frustration, anger, confusion, fear, sadness, and month after month after month after year of waiting and trying and hoping. Secondary infertility is more common than we think. There are so many of us out there. The CDC estimates that 11 percent of couples who already have a child go on to experience secondary infertility. That means that 4 million American families – and about half of all infertility cases in total – are struggling with secondary infertility. And yet, if infertility is spoken about too little and still lingers in the corners of social discourse, secondary infertility exists even deeper in the shadows and comes with its own challenges. Yes, you think. I should be happy for the child(ren) I have. There are so many people out there who would give everything they have just to have one healthy child. But… I can feel the child who has not yet been born. The one I feel I’m supposed to have. The one I want so desperately. The one who isn’t yet here. Before I started Circle+Bloom, I had one daughter. She was conceived easily, and when my husband and I decided to have a second child, I expected it would go just as easily. But it didn’t. We tried for years to conceive another child, unsuccessfully. I had known since adolescence that I had PCOS, and that my diagnosis could make having children difficult. On an ultrasound, I was told that my ovaries looked like “swiss cheese.” The eggs don’t fully form and don’t release from the follicles – they just continue to sit there – causing the follicles to keep growing and to produce many cysts instead of healthy eggs. But it had been so easy the first time – why not again? Over time, I became desperate. I would get a twinge in the pit of my stomach when I saw a mommy-to-be, and I swooned over adorable baby clothing and that bewitching baby-powder, new-baby scent. A few times the pregnancy test came back positive, only to find out weeks later that the pregnancies were not viable and needed to be terminated. I don’t know whether they were a result of my PCOS, although the disorder is characterized by a higher incidence of miscarriage. I was heartbroken. A failure. Infertility took over my life. It became my existence, and everything I witnessed went through this lens of despair. It did happen eventually, and today I’m blessed with two beautiful, healthy children. But I began to notice I wasn’t the only one experiencing fertility issues; a close friend of mine was also having trouble getting pregnant. I started thinking about the many different things that influence conception, and how we can influence our bodies and our reproductive health. I researched and read books, asked questions and reached out for conversations with doctors and specialists. All of this exploration led me to believe strongly that we do have the power to influence own own reproductive health. I believe that one of the best vehicles for this control is through the use of guided meditation. Our kids are now 17 and 12, and I have since built Circle+Bloom and its guided meditation programs to offer help and support to other women and couples along their journey to parenthood. Why me? Why us? Why now? Why wasn’t it this hard the first time? Why is it different now? It could be that an existing condition (like my PCOS) worsened over time. It could be a new or previously undiagnosed condition – like endometriosis, uterine fibroids, diabetes, or thyroid disease. It could be that you’re just that much older than you were before. It could be scarring from a previous pregnancy. It could be that you’re with a different partner than before, and there are problems with their reproductive health. It could be that you’re overwhelmed and exhausted from caring for a young child. Or that you’re still breastfeeding. It could be that the earlier birth threw off your hormones. It could be that you’ve gained weight. Or lost weight. Being over or underweight can cause ovulation problems in women, and possible impact sperm health in men. It could be that you’re taking a new medication. Or that you’re suffering from depression. It could be a pelvic infection. Or scar tissue from a past c-section. Or you may never know. Doctors often can’t figure out exactly what it is. There’s a lot about fertility that we don’t understand. 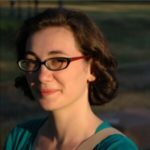 I wish I had found more resources for support when I was struggling with secondary infertility. I managed to make my way through it, but I created Circle+Bloom so that other people in that situation would have another place to turn to for help. Work with a doctor who supports you. Unfortunately, when it comes to secondary infertility, some doctors don’t take patients’ concerns seriously. Find a reproductive endocrinologist you trust who is committed to helping you expand your family. Find a support group that welcomes women with secondary infertility. You may be hesitant to participate in an infertility support group if you already have a child. But there are plenty of support groups out there that will welcome you and support your needs. Try out some different groups – in person or online – and be upfront about your situation and your need for empathy and support to help you find one that’s the right fit. Communicate with your partner. It can be challenging to walk this path with aother person who has their own emotions, feelings, and expectations. You and your partner may not be on the same page about things like your stopping point, what to consider if IVF doesn’t work, or limiting how much to spend on treatments. You may want to consider meeting with a counsellor who can mediate discussions and help guide you to an agreed plan of action. Support yourself. Although you can’t control when and if you get pregnant and have another child, you can control how you take care of yourself. Consider using relaxation techniques, such as yoga, meditation or acupuncture, and other positive self-care practices like journaling or talking to a close friend. I get emails often from people who used Circle+ loom programs and went on to have a child. These success stories always reinforce why I continue to feel the importance of our guided meditation programs, and spreading the word of the power of our minds. If you feel a success story might be inspiring for you, you can read about Sandra who was experiencing secondary infertility and went on to have another child after using Circle+Bloom. To try one of our Circle+Bloom guided meditation programs and see how they will support and aid you during your fertility journey, find the program that best fits your needs – such as the Natural Fertility Program, the PCOS Fertility Program, or the IVF/IUI Program.